The year 2019 will be remembered as a turning point in the history of the blockchain, paving the path for mainstream adoption. Thanks to Retail Industry. Last week’s rise in the price of Bitcoin made the crypto-community excited, attracting — as usual — the attention (and the money) of some “noobs”. A positive crypto market is always a piece of good news in terms of building an active ecosystem, but as we always keep stating: blockchain is not Bitcoin (or any other cryptocurrency). We already wrote about the reasons why, after 2017 speculation and 2018 normalization, 2019 can definitely be the year of adoption. Signals come from companies and institutions. According to a Deloitte (DTTL) global survey over 1000 professionals, 34% says that their organization already has some blockchain system in production, while 41% has a blockchain application ready to be deployed within one year. In a few words, companies’ shift from exploring the technology to actually using it is happening now! As said, our evaluation was never influenced by the exchange market behavior, but market growth makes it more likely to widen the adoption. And a wider adoption will make the integration with real-life digital payments even more needed. Of course, the number of cryptocurrency users is hard to be stated, but what can be counted is the number of retailers accepting cryptos (and in particular Bitcoin), which has been constantly growing, especially in the United States. In the USA only, in fact, mobile payments processing revenue is expected to reach $885.4 billion by the end of the year. Which will also push the “wallet industry”: a wider adoption means that the demand for digital asset management tools will grow as well. And new users will ask for apps easy to use and full of features. The online and the offline channel are more and more connected: some items can be checked online before being purchased in store, or otherwise can be found in store but and, after that, online check for price and delivery. But of course, the trending focus is towards the online experience, especially mobile. The aim is to make the mobile purchasing experience safer, smoother and, of course, cheaper. According to a survey, 57% of consumers use retail apps mostly to find coupons. A further usage, though, is to find reviews about the product they are interested in. The consumer expects a further level of connection with the vendor, possibly even some interaction. And a better deal. This is the way (and the why) social media end up mixing with e-commerce. To meet that demand, OBS developed a wallet App, Dolphin Pay, which is focused on the user. The main concern for newbies digital asset holders, like most of them, are at this stage, is to feel that their investment is safe. And, of course, the App must be easy to use. At the same time it needs to be rich with features, to actually meet the demand of the consumer. Dolphin Pay is designed exactly to do that, with its user-oriented interface and the five layer of blockchain technology-based safety. 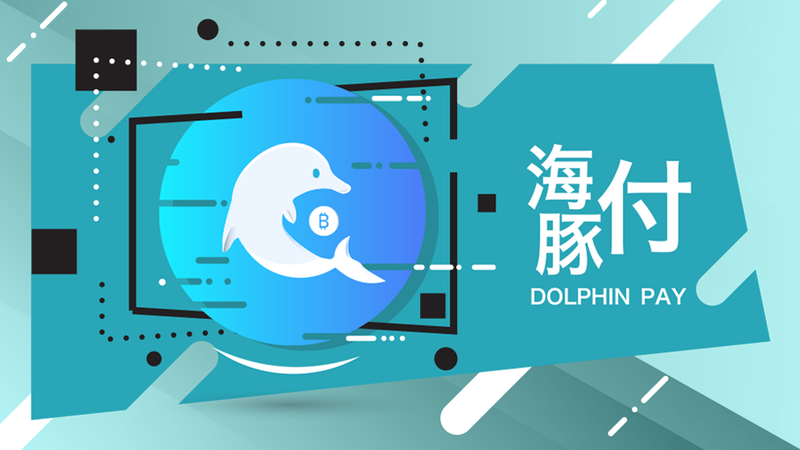 But the most important feature is the ability to handle OBS, which means that using Dolphin Pay you can convert and store all the tokens earned through the OBS empowered social commerce platforms, like WhaleMall. Tokens earning the incentive for online purchases is the further stage after coupons and discounts, and the OBS token economy social commerce model can be foreseen as a future standard to be achieved as final intersection with retail and crypto trend. The reason why these trends lead to an optimistic view is that the bottom-up trend led by the customers’ adoption, also has a top-down side coming from the expected investments in the sector. The phenomenon is global, as stated by last IDC stats: worldwide blockchain spending is expected to be of $2.9 billion this year and will get to an amount of $12.4 billion in 2022. Of which the service sector, led by retail and professional services industries, is forecast to see a blockchain spending of $642 million. China is, by now, the adoption leader, but according to the IDC market researches, the USA want to fill in the gap and will keep spending on the blockchain. In 2019 the United States will be the geographic region to see the largest blockchain spending with $1.1 billion in total. Forecasts are going to be even more outstanding, thanks to a 76% CAGR in the next years leading to total spending of $12.4 billion in 2022. More than ever, the future is now. People and blockchain closer than ever was originally published in Data Driven Investor on Medium, where people are continuing the conversation by highlighting and responding to this story.